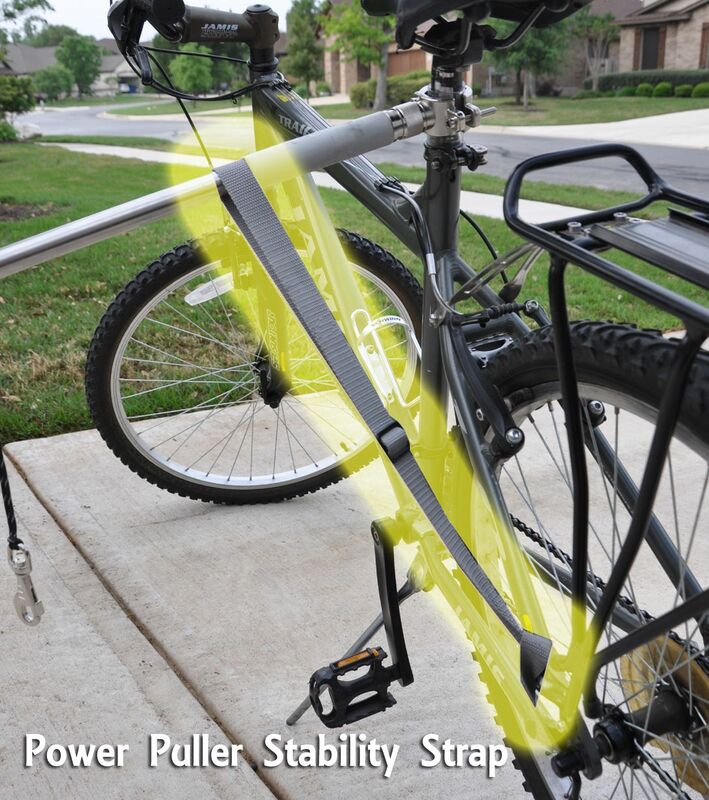 The WalkyDog Plus attaches to a seatpost clamp that goes underneath the seat of your bike. It comes with a seatpost protector sleeve to prevent scratches or marks to the bar under the seat. While this sleeve does protect the seatpost from scratches, it doesn't allow you to get the WalkyDog clamp as tight as you could if you weren't using the protective sleeve. This can allow some movement with powerful pulling dogs. One option is to not use the sleeve. 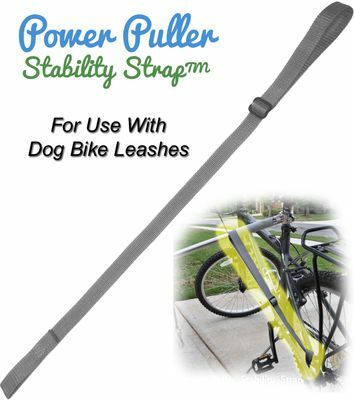 This works to prevent movement of the WalkyDog Plus, but might leave scratches on the seatpost or your powerful pulling dog might still be able to twist the entire seat. 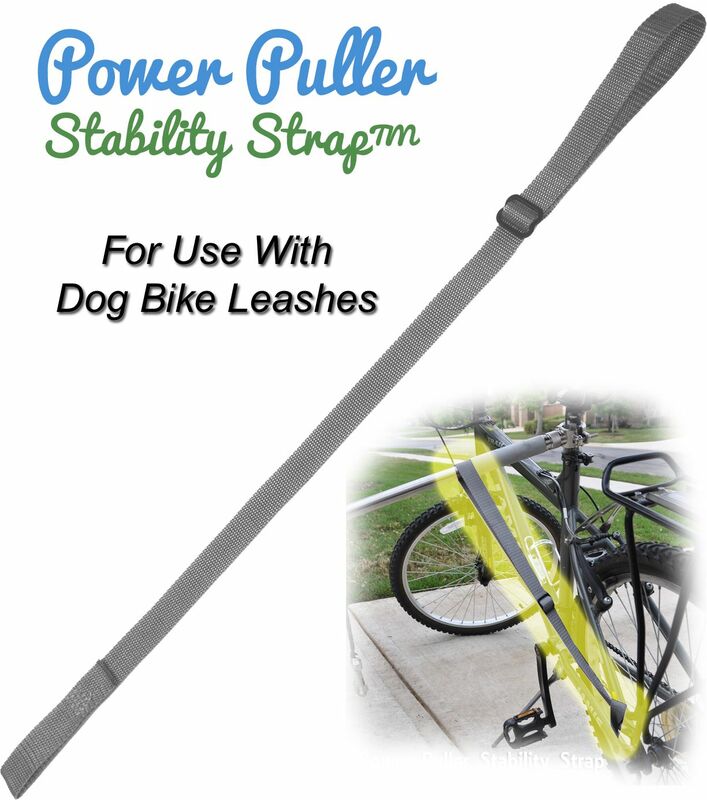 With the Power Puller Stability Strap� you can use the seatpost protective sleeve to protect your bike frame as intended and still prevent any movement or twisting of the WalkyDog Plus with a powerful pulling dog. 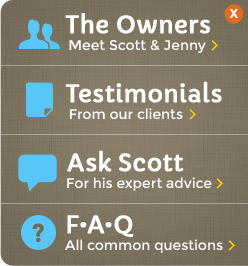 The concept is simple, but the results are excellent. See the video below explaining how the Power Puller Stability Strap� works. 1 inch strap adjuster. Adjustable from 21 to 36 inches.